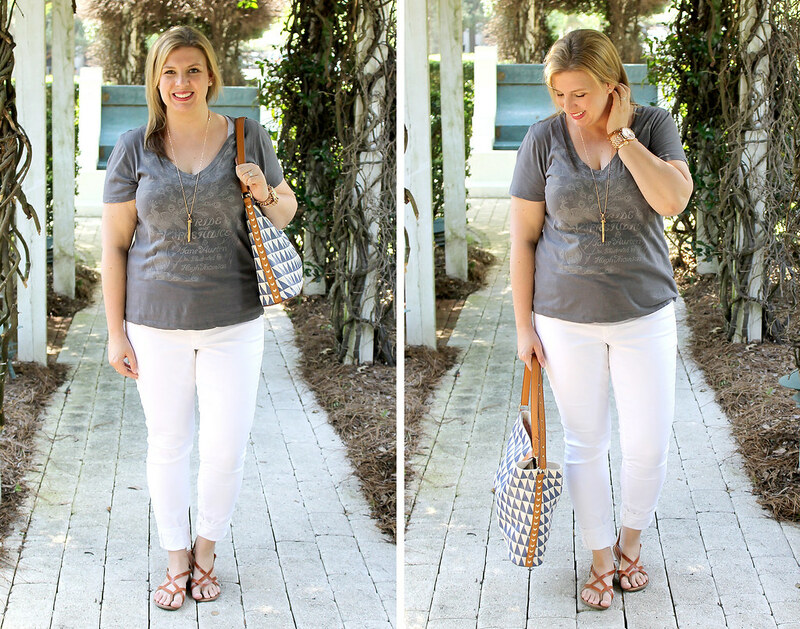 Tees are a definite mom-iform staple for me, and I like how a graphic tee adds interest to an otherwise boring outfit. 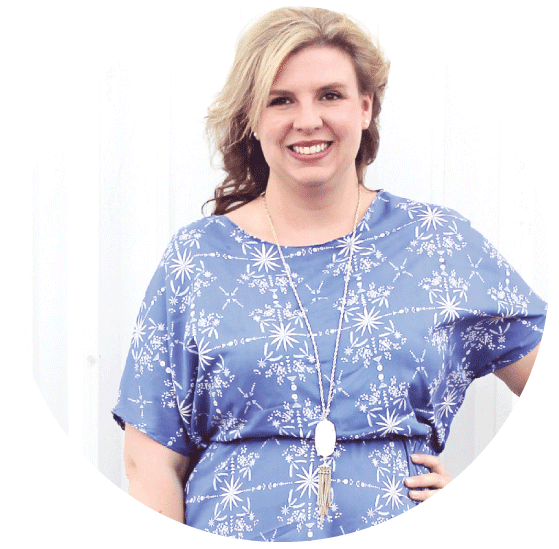 Today I'm featuring one of my favorite graphic tees showcasing one of my favorite books for today's Mom Style Remix: graphic tees. Austen's Pride and Prejudice is one of my all time favorite books - it's such a classic - and lends itself well to movie adaption - hello Bridget Jones's Diary - though nothing can top the BBC mini series with Colin Firth as Mr. Darcy - swoon. While I usually reserve my graphic tees for weekend wear, I'm mixing it up a bit with looks for the weekend, work, casual Friday, brunch and date night. I'm fortunate to work in a relatively relaxed environment, so it's pretty easy to get away with a cute graphic tee, a nice pair of black denim and a cardigan on Fridays. I like the print on this tee because the graphic is subtle, which makes it easier to wear to work. I wore this outfit last Wednesday for an impromptu day date adventure. It was the perfect mix of casual, but not sloppy. 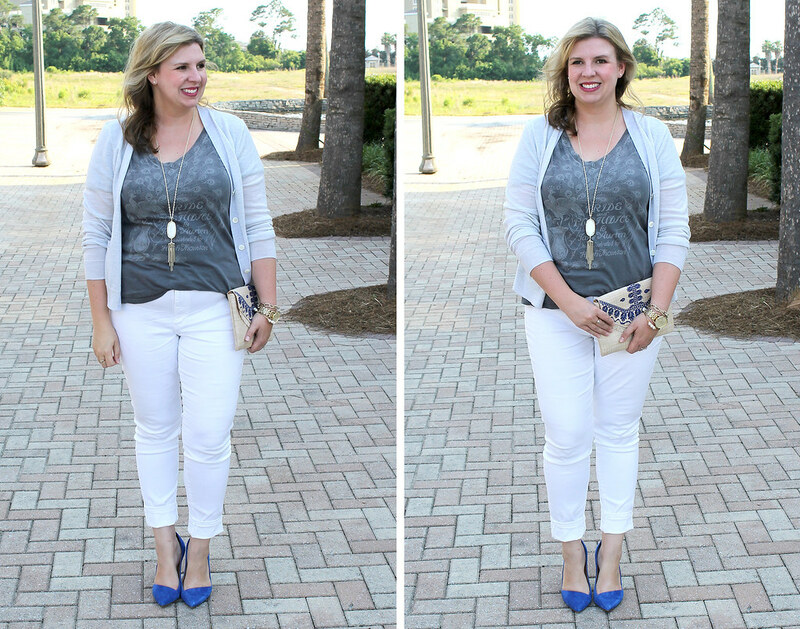 Despite my earlier reservations, I'm becoming more and more convinced that white jeans are awesome. They go with everything! It's hard for the husband and I to get out for date night since we don't have a readily available babysitter or family that can watch the little one, but if we were to go a real date, I think this outfit would be super fun! The tee is comfy and playful and the skirt and pearls make it feel more polished. 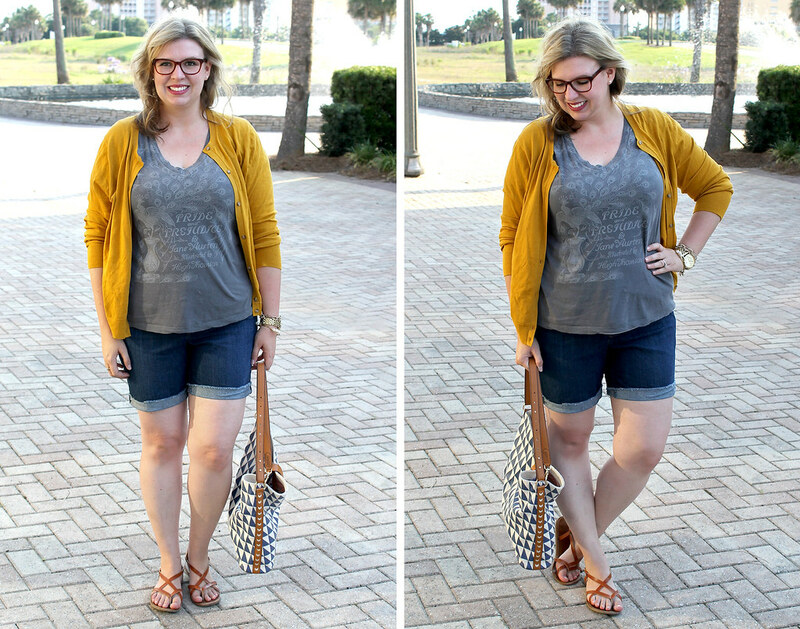 This is pretty much me on summer weekends: shorts, tee, sandals and a cardigan. On repeat. 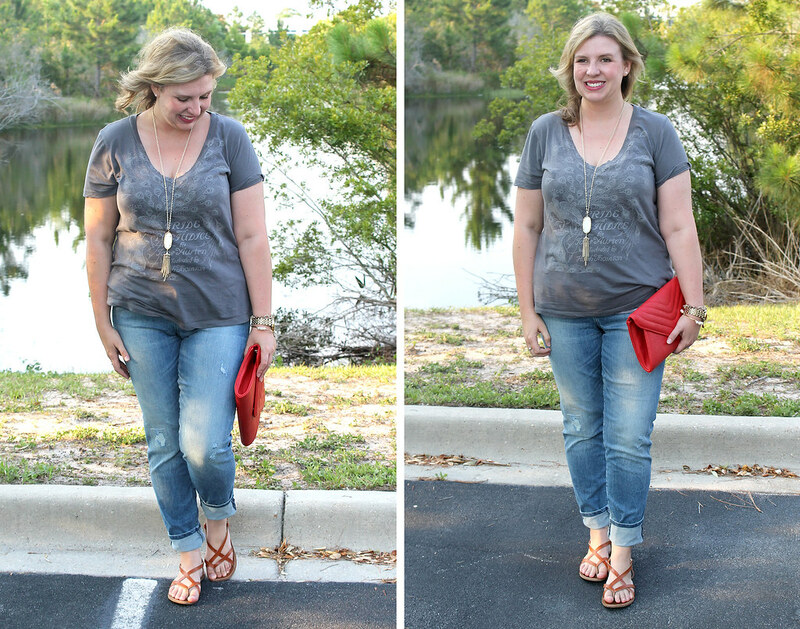 This is another weekend look for me with a distressed pair of jeans, simple sandals and a tee. I added a bright clutch for a pop of color. I've been really into clutches lately, they slip nicely into a diaper bag and I don't have to worry about carrying two bags while running errands. Thanks Anne and Jenn for hosting the Mom Style Remix series! 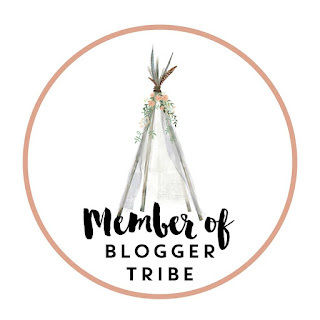 be sure to check out the other linkups for some great graphic tee inspiration! Ahhhh that tee + all your looks = amazing!! I'm such an Austen fan. And love all the versatile looks that came out of this. 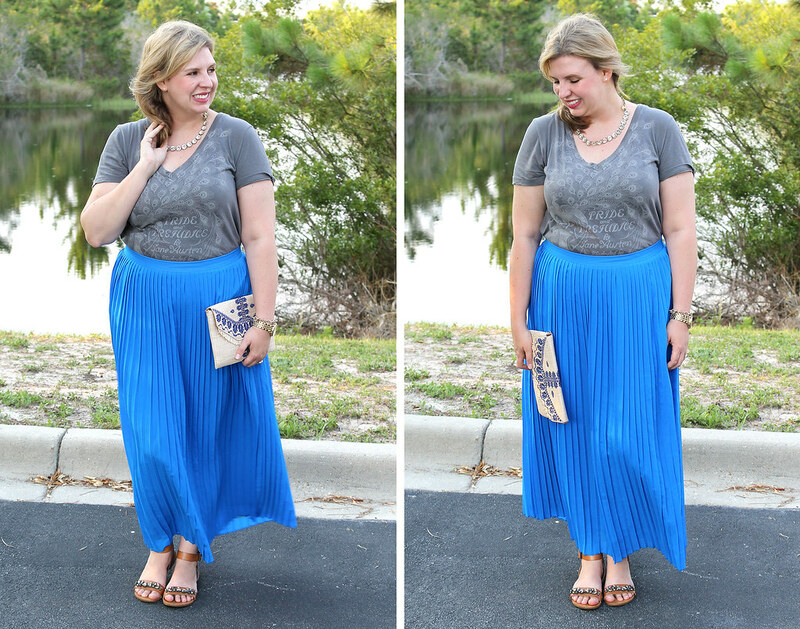 I am particularly loving those colorful midi skirts - that was one of the looks I loved from our Pinterest inspiration board, but I don't happen to have a midi skirt to try it with. Gorgeous! I've been midi skirt obsessed lately. In the past few months I've added quite a few to my closet, they're just perfect for the Florida summer heat! Oh man, knocked this one out of the park as usual! I love the variety of dressed up and dressed down looks, especially the red skirt. Oooh and the patterned pencil skirt. The white jeans + heels look is amazing too - never would have thought to put shoes like that with the white jeans and graphic tee but it just works. FAB shoes. p.s. Colin Firth IS Mr. Darcy. Swooooooon. I miss my patterned pencil skirt. I need to get it altered so I can wear it again! 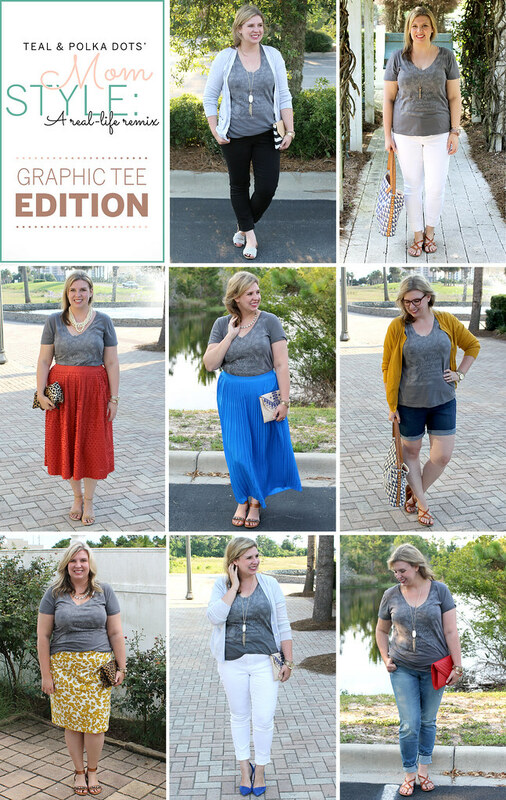 I am LOVING your graphic tee and want to copy every single one of these looks! 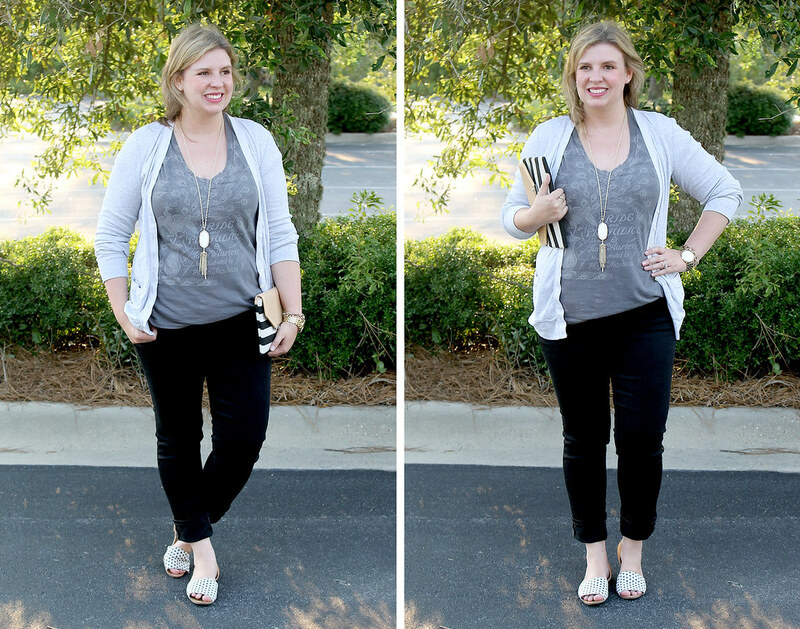 I love your weekend look with the yellow cardigan, as well as your weekend casual look with the tassel necklace. 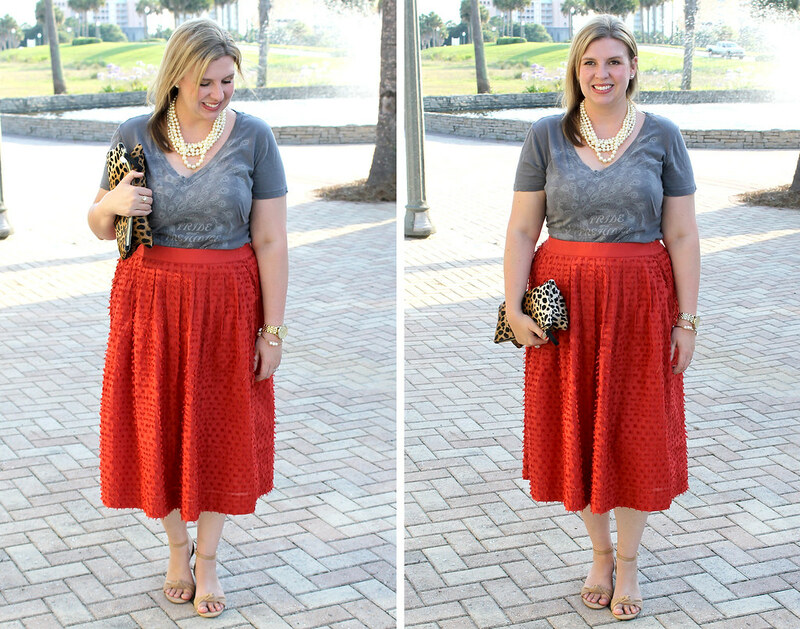 I think my favorite is the look with the red skirt though, so pretty! Thanks so much! It turned out to be a pretty versatile shirt. :) I think the red skirt, and jeans with blue pumps, turned out to be my two favorites. I just love a nice, bright pop of color!